This phrase from Downtown Fort Worth Inc. has always struck me as the perfect descriptor for Fort Worth as a whole. We are not a shout-out-our-greatness-from-the-rooftop kind of city, but once you’re here, you know you’ve found home. My first visit to the new contemporary French restaurant Le Cep left this phrase lingering in my mind. An unassuming strip center location on West Seventh was the setting of some the best fine dining I have ever experienced. It is not home to a lauded celebrity chef or lab-producing saffron spheres and vanilla vapor in a show of molecular gastronomy. Le Cep is pure passion and impeccable execution of service, technique and ingredients. Muted gray tones and soft lighting leave no distractions to the food that trickled out to a sleek dining room that seats about 60 patrons. The only diversion was a thin sliver of space that gave a glimpse into a calm kitchen. A champagne cart wheeled tableside marked the beginning of the Le Cep experience. From there, the choices were simple, a $45 four-course tasting menu or the $85 eight-course menu. Since it was my first visit, I opted to get the full experience with the eight-course menu along with wine pairings for an additional $40. Owner David Avila recognizes that many diners come with a price range in mind for wines when dining out. “I want that amount to buy them a much better bottle of wine than they would get somewhere else. It will only enhance the dining experience,” says Avila. Following an amuse bouche that gave a nod to the flavors of French Onion soup, our first course of the evening was delivered to our table by chef Sandra Avila. 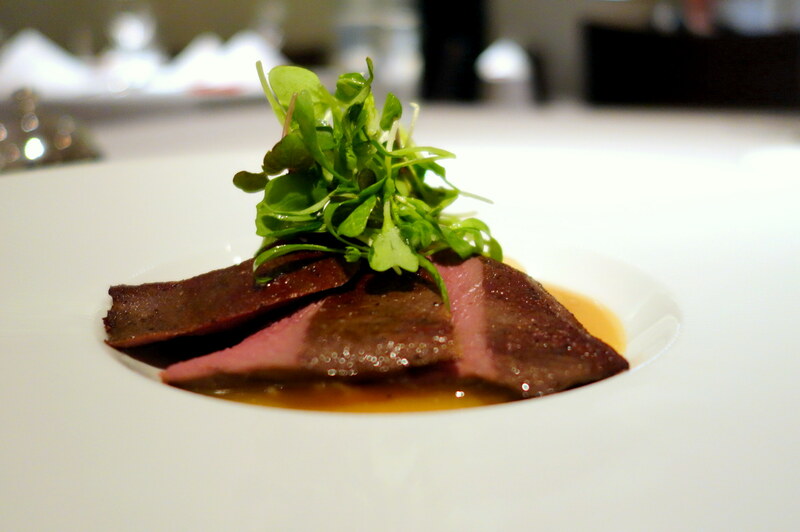 Hours of preparation led to an intense clarified duck broth the enveloped toothsome quinoa and a single beech mushroom. Although humble in nature, chef Avila’s pride radiated with every dish that she delivered to our table. Her studies at the Ducasse Institute followed by her time at Alain Ducasse&apos;s restaurant on the first floor of the Eiffel Tower have clearly paid off. Next, a pistachio cream with a touch of citrus brought together a salad of shaved zucchini and sous vide beets cradled on a raft of blanched green beans. Then poached egg over a luxurious mushroom duxelle was scooped up with thin shards of toasty baguette. A highlight was the perfectly seared scallop topped with crushed almond and just enough tart lingonberry compote to cut through a rich beurre blanc sauce. The evening carried on with courses of sous vide duck breast then tender venison topped with greens in a coating of honey lemon vinaigrette that added just enough acid to prevent the feeling of a heavy meal from taking over. Our seventh and eigth courses came as dueling desserts of strawberry rhubarb with crema and housemade brittle and a finale of decadent chocolate mousse cake with ganache topped with an elegant little speck of gold leaf. In the name of research, of course, we opted to add on the cheese course. Another cart made an appearance and in minutes, we had a sampling of French cheeses ranging from cow, sheep and goat&apos;s milk plated in order of intensity. 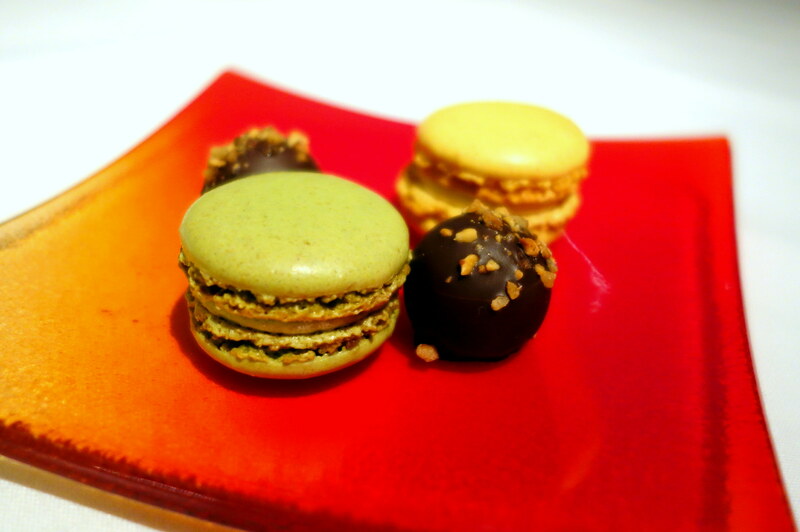 Just when we thought that all good things must come to an end, truffles and macarons from Paris’ highly-acclaimed Lenôtre convinced us to leave room for just one more bite. This is a place to let time stand still and appreciate the care taken into each element that is presented. Our evening concluded in three well spent hours of sipping and savoring. 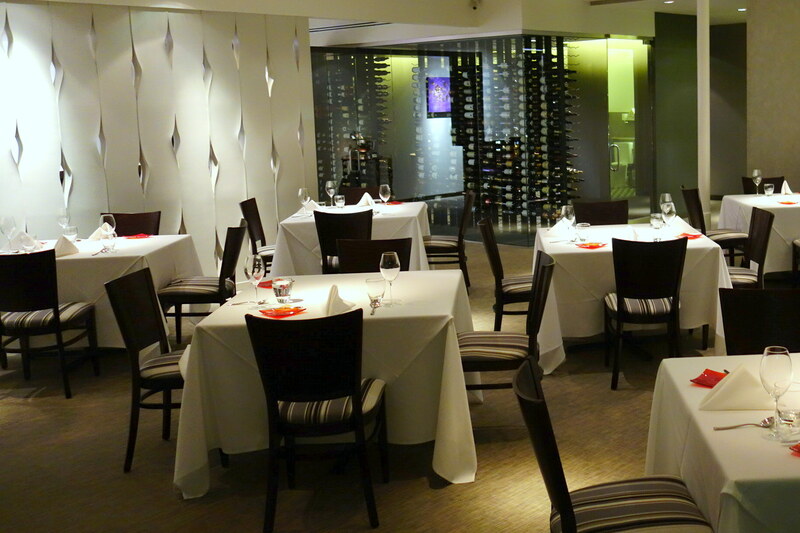 I’m eager for a return visit as the menu changes seasonally at chef Avila’s discretion. David and Sandra Avila could have chosen anywhere from their extensive travels as home for themselves and their new venture, but the growth of Fort Worth (both in economic development and palate) guided them here. Crystal's interest in food started young with Saturday episodes of Yan Can Cook and during Christmastime tamale making with her family. 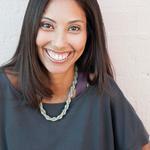 Cooking became a passion when she moved to Chicago in 2005 after earning her MBA at Texas Christian University. Living in a new city, she challenged herself to create new recipes and feed budding friendships by hosting regular Sunday dinners. After returning to her hometown a year later, she enrolled in the Culinary School of Fort Worth where she graduated with honors in 2009. It was during her time at CSFW that she began publishing Fort Worth Foodie magazine in an effort to highlight independent restaurants that make Fort Worth a unique place to live and dine. Crystal continues her involvement in Fort Worth's food scene as a member of the executive board for the Fort Worth Food & Wine Festival, a celebration of the local culinary arts that raises funds for local grant programs and culinary scholarships. Crystal also serves as a chef instructor for the Cooking MattersTM program offered by Tarrant Area Food Bank where she and other volunteers teach families how to make healthy food choices on a limited budget. Follow Crystal's culinary adventures through the Fort Worth Foodie on Facebook - www.facebook.com/fwfoodie Instagram feed - @FWFoodie.